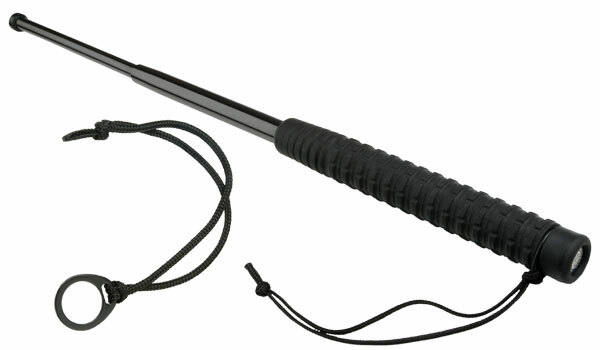 We can supply to expandable batons of the type ExB also additional hand strap. This strap can be easily inserted under the screw-on ending. The baton can be thus used with or without this hand strap - as needed. It can be used also with additional flashlight for expandeble baton BL-01 or BL-02. This metal clip enables concealed carrying of the expandable baton on the belt outside or inside trousers or on a tactical vest. 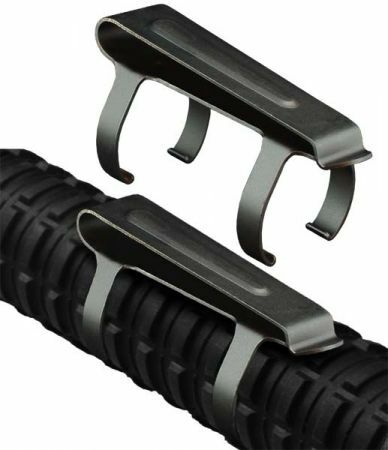 This clip is designed for use with ESP hardened batons with a rubber grip only. The clip is not designed for being removed from the baton and put back on repeatedly.